Bo Normander (b. 1971) has been a nature photographer and writer for more than a decade in parallel with his carrier as an environmental researcher and manager. 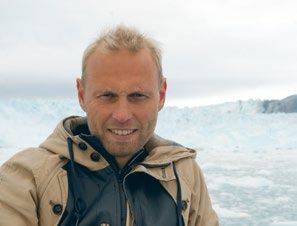 He is highly knowledgeable about Arctic nature and the environment, and has written a number of reports and scientific articles on nature and biodiversity. Bo has previously been the Director of Worldwatch Institute Europe, the Chairman of the Danish Ecological Council, and Senior Researcher at the National Environmental Research Institute (now part of Aarhus University), from which he holds a PhD in Microbial Ecology.